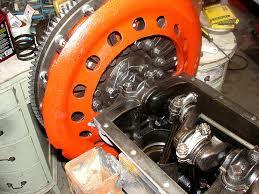 I’m attaching my fly wheel to the crank. I have grade 8 bolts that are 1 1/2”. What is the best method to insure they stay put, loc tite?, lock washer? I'm believe they should be safety wired. Wire them. That's why they have holes. Others may have a different view but that is mine. Maybe find some with slightly better threads? Thanks, I’ll order the correct bolts and wire them.